Roo's News from Rissy Roo's will always keep you informed of any promotion or sale event that we are having. We are always running sales; holiday sales, black Friday sales, cyber Monday sales, summer sales, blowout sales and other great promotions. Shop for the dresses you love at a discounted price. Sign up for our newsletter and be the first to know when we running one of our great sales. 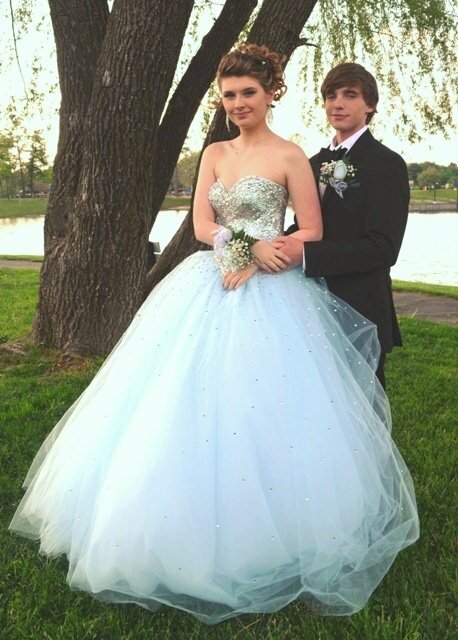 And, check out Tori looking gorgeous in her prom dress below! She chose Mori Lee style 95051 for her dress, an elaborately beaded ball gown with a corset back and a full tulle skirt. It's one of our sale dresses - it used to be $478, but is now only $334.60! Tori looking like a princess in Mori Lee 95051! We LOVE the gorgeous tulle on this ball gown! Tori and her prom date! Thank you Springer Family for sending us pictures of Tori in her prom dress! Tori, we hope you enjoyed your prom dress surprise and hope there was much more prom fun to come this year for you! 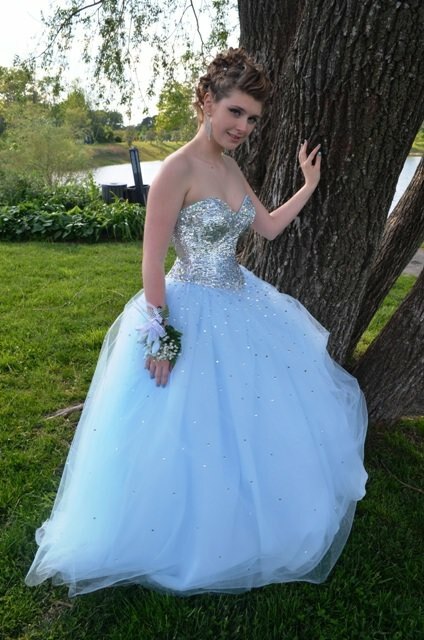 This entry was posted in Testimonials, For Fun, Sale Dresses and tagged Mori Lee, Prom dress, testimonial, Sale Dresses, The Princess Dress, On Sale, blue dresses, Prom Dress Testimonial, Prom 2014, fun, prom fun on May 29, 2014 by Chrissy Roos.